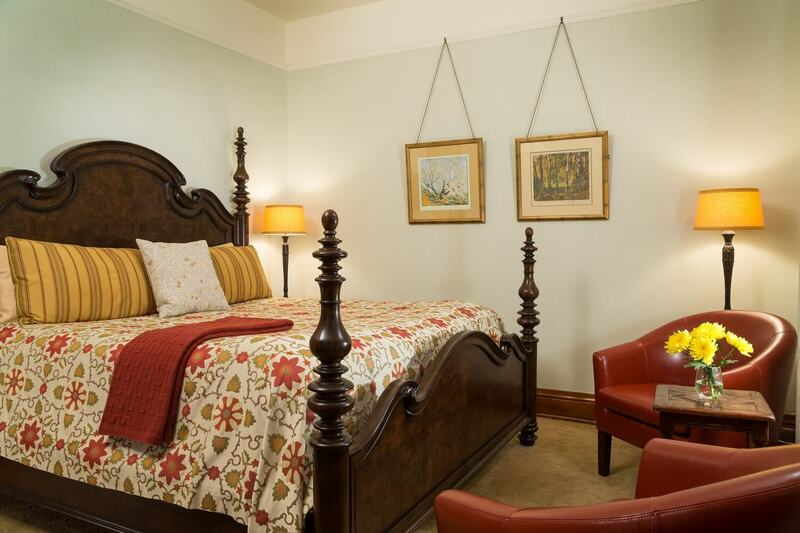 The Baumann room is located in the Historic Digneo house along with the Digneo (#5) room. It features reproduction wood block prints from the famed Santa Fe artist Gustave Baumann. This newly replastered room in a soothing green color features a king bed, large walk-in closet, club chair and private bath with a tub/shower combination. 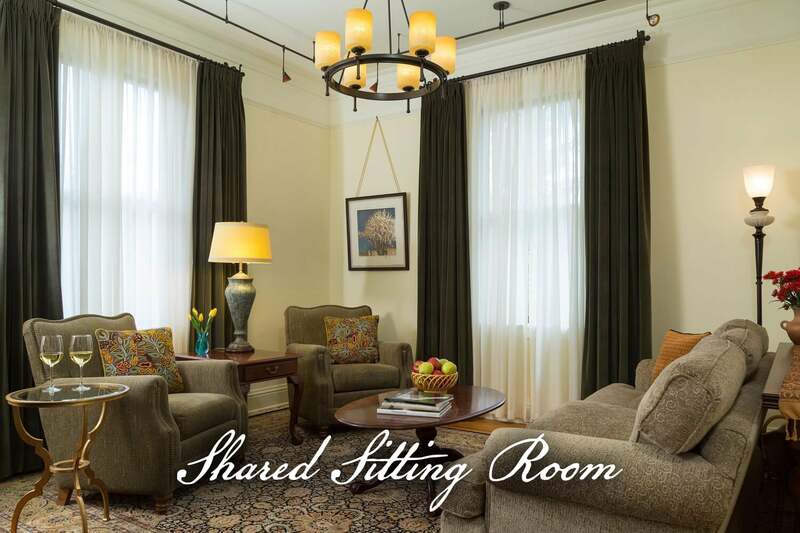 Guests staying in this room have access to a shared (only with room 5) living room with comfortable seating. Entrance to the room is through the front door of the Digneo house. 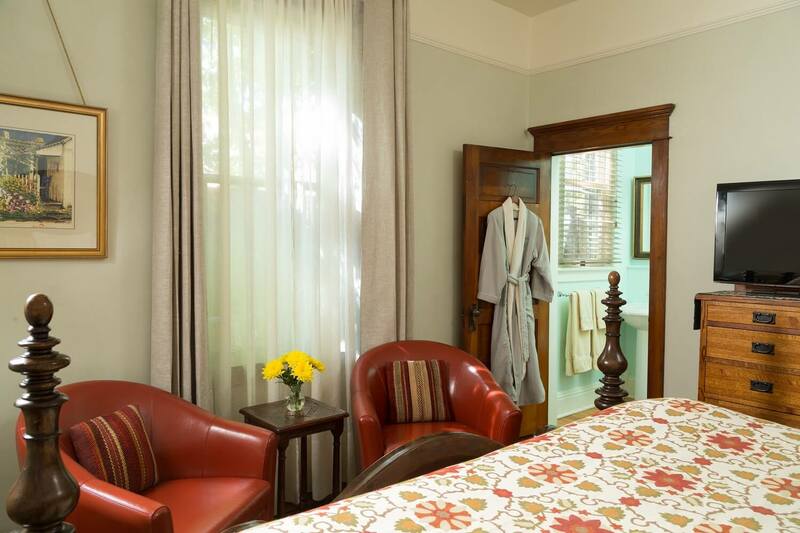 Renting rooms 5 and 6 together gives guests their own private two-room, two-bath suite with a separate sitting room.